Southwest Minnesota State University has hired Marty Wahle as the head coach of its reinstated women’s swimming & diving program. SMSU had included both men’s and women’s swimming & diving in its athletic department for a run of years in the 1970s. The school announced in May that it would be resurrecting the women’s program beginning with the 2019-2020 season. That will give Wahle just over a year to recruit his starting roster, which will compete in the NCAA’s Division II and the Northern Sun Intercollegiate Conference (NSIC). 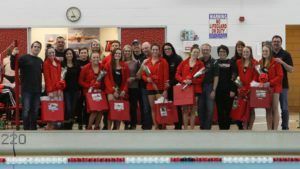 Wahle swam at Minnesota State University and most recently served as the head coach for men and women at Division III Hendrix College in Arkansas. 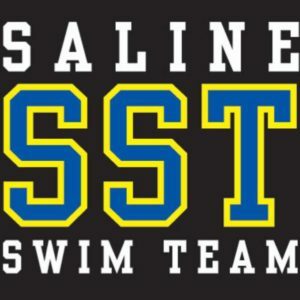 MARSHALL, Minn. – Southwest Minnesota State University Director of Athletics Chris Hmielewski announced today the hiring of Marty Wahle (pronounced wall-ee) as the head women’s swimming and diving coach at SMSU. SMSU announced the reinstatement of the women’s swimming & diving program on May 14 and will begin competition during the 2019-20 academic year. 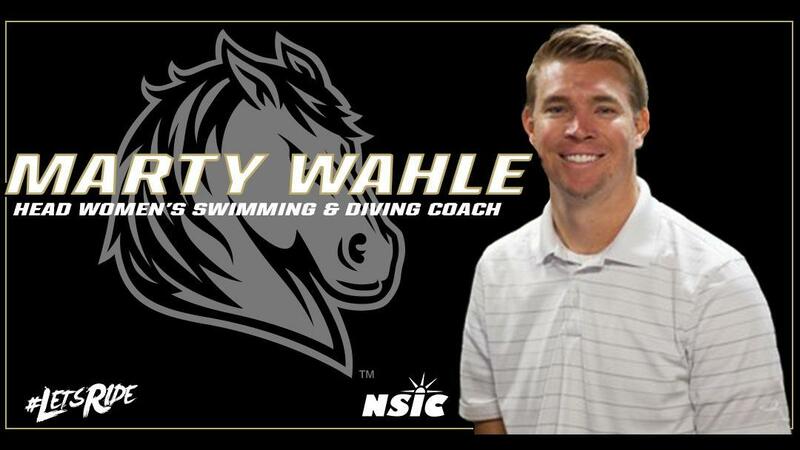 Wahle comes to SMSU after spending the past four seasons as the head men’s and women’s swimming and diving coach at NCAA Division III Hendrix College in Conway, Arkansas. During Wahle’s tenure at Hendrix, he helped the program’s roster size double in three seasons, helped the two teams set 17 school records and coached several all-conference honorees. Prior to Hendrix College, Wahle spent two seasons as the head men’s and women’s swimming coach at Ripon College in Ripon, Wisconsin. During his tenure, the team broke 17 school records, while both programs had their highest finishes at the Midwest Conference meet since 2006. 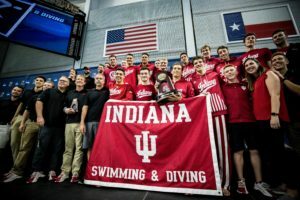 Wahle began his collegiate coaching career as an assistant men’s and women’s swimming coach at Misericordia University in Dallas, Pennsylvania, where he was also the men’s team recruiting coordinator. In his two years at Misericordia, Wahle saw his squads break 32 school and four conference records. Wahle had a standout four-year collegiate career at Minnesota State University, leaving the program as one of the most decorated swimmers in program history. Wahle was a 16-time NCAA Division II All-American and was named the school’s Most Valuable Male Athlete during the 2008-09 school year. A team captain, he was named the NSIC Swimmer of the Year in both 2008 and 2009 and was also a two-time Scholar All-American. 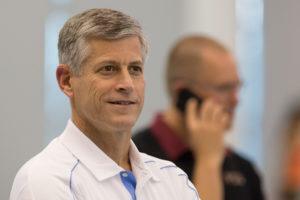 During the summer of 2008, Wahle participated in the 2008 U.S. Olympic Trials competing in the 200-yard backstroke. Wahle is a 2009 graduate of Minnesota State with a degree in elementary education and earned his master’s degree in education from Misericordia in 2012. *Another* guy I swam against in college picked to lead a college program! Marty Is AWESOME – He will do well!! !